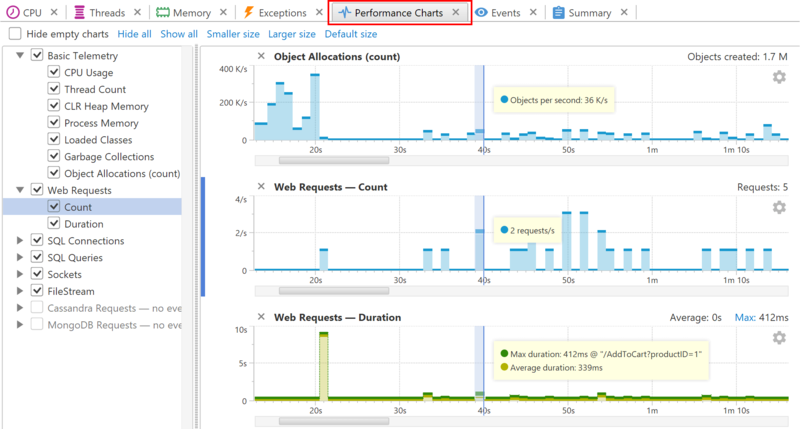 The "Performance charts" tab shows all telemetry graphs in the same place one above the other, with their time axis synchronized. You can easily correlate higher level events with basic telemetry graphs, as well as to simultaneously see basic telemetry graphs from different tabs e.g. CPU and Memory.